Central America and Mexico are popular choices for retirement for many Americans and Canadians. This is not surprising when you consider the great qualities the region has to offer. First off there are the practical aspects, such as its proximity to the U.S. and Canada, and its similar range of time zones. Nowhere else in the world can North American expats enjoy their retirement overseas and still have the option of visiting their families within the space of two hours. This close proximity works both ways too, meaning that expats in Mexico and Central America are regularly entertaining guests from back home. Expats are also drawn by the relaxed lifestyle that is inherent throughout Mexico and Central America—a far cry from the hectic rat race that many expats experience in their working lives. On top of this, the region offers some of the most breathtaking natural beauty and scenery that the world has to offer—which is, of course, easier to enjoy when you combine it with the aforementioned relaxed lifestyle. And last, but certainly not least, most expats who live here are drawn by the undisputable low cost of living throughout the countries in this region. Many find that, while the prospect of retiring in their home country might mean living frugally and counting every nickel and dime, they can enjoy a higher quality of life at a lower cost in Mexico and Central America. If a laidback and affordable retirement close to home is something that you think might be right for you, why not have a look at the map below. We’ve picked out some of our favorite retirement destinations in Mexico and Central America, all of which allow you to live out your dream retirement at a low price. 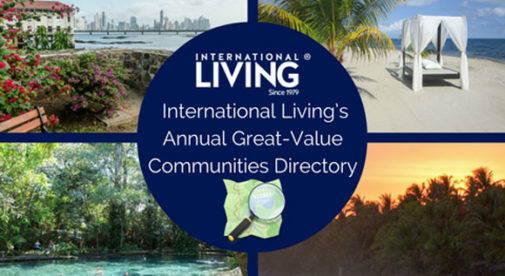 Click on the map for details about the great-value communities we recommend in each country. 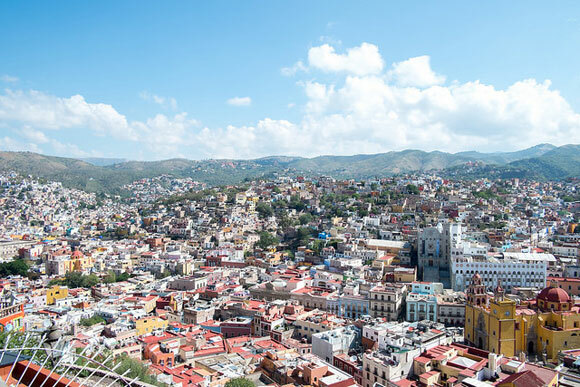 Just across the border from the U.S., Mexico is now “closer than ever”—that’s a motto used by the Mexican Tourism Association—and as many expats are choosing to live in Mexico, we couldn’t agree more. Mexico is the United States’ closest neighbor to the south, and at no other time in the long history of that relationship have the benefits of living and investing in Mexico been more apparent…and easier to take advantage of. Not just for U.S. citizens, but for Canadians, Europeans, South Americans…anyone looking for great weather, low prices, rich culture, and potential profits. And that’s not to mention the low cost of living. International Living’s Mexico Editor, Glynna Prentice, says that a couple could easily live in Mexico on $2,190 a month, and that includes a maid three days a week and a gardener. Think of it…moonlit fiestas, strolling mariachis, languid white-sand beaches, colonial towns set in the rugged Sierras, ancient Maya pyramids rising from the misty Yucatan jungle…Mexico has it all: rich culture, perfect climate, affordable living, not to mention mountains, beaches, deserts, and just about everything in between. 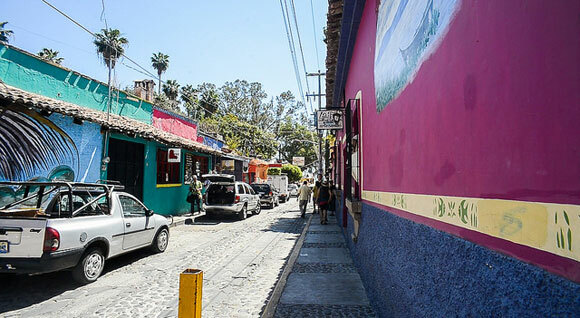 Sitting on the shoreline of Mexico’s largest lake, Chapala, the charming, historic, and affordable village of Ajijic claims the largest concentration of retired U.S. and Canadian expats in Mexico and perhaps, the world. A two-bedroom house or condo in Ajijic can be rented for $350 to $850 per month and many come completely furnished. No need for motorized transportation, either, as the small town is very walkable with a picture-perfect, historic central square surrounded by small shops and restaurants planted on narrow cobblestone streets. The expat residents of Ajijic are well organized. You can access a full menu of organized activities, clubs, and volunteer opportunities for all tastes, likes, and abilities, happening weekly. Ajijic even boasts a beautiful golf course/club as well as a popular tennis club where world-class professionals can often be found sharpening their game. Civic organizations such as Rotary have a large membership in Ajijic and there is also an active theater group, Spanish clubs, garden clubs, wine tastings, singles’ mixers, and organized bus trips exploring the region. With so much at hand, it’s not surprising expats in Ajijic have sprouted deep roots. 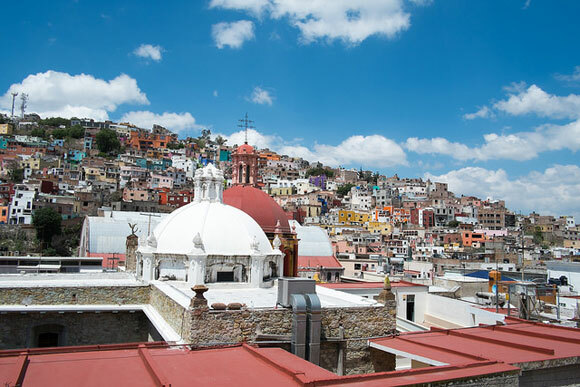 For a modest cost of living in a vibrant atmosphere, it’s hard to beat Guanajuato, in Mexico’s Colonial Highlands. This Spanish-colonial city of about 71,000 people, with its grand buildings, romantic plazas, and stair-stepped streets winding up hillsides, has an almost European flair. Here you can enjoy a leisurely coffee in a plaza that feels like a corner of Florence. Or stroll the pedestrian-only center, between the Teatro Juárez and Guanajuato’s Basilica, and listen to guitar-playing troubadours dressed in 16th-century Spanish garb. This is a university town, so the vibe is young and the activities are non-stop. Go to the cinema club one night—there’s almost always a themed film series showing—and a gallery opening the next. The university’s famed symphony plays on Friday nights, the Gene Byron Museum has Sunday afternoon concerts, and dance concerts, chamber music performances, and rock and jazz concerts dot the calendar. If you speak some Spanish (and most expats here do), you can add live theater and lecture series to your list. Tickets for most cultural events run $5 or less, so they hardly break the bank. 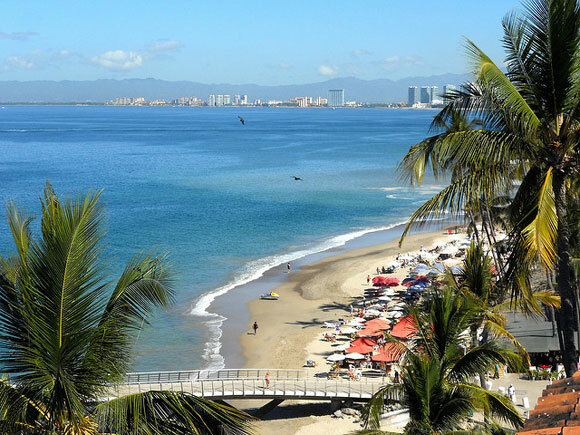 Puerto Vallarta has been an expat haven for over 60 years. During its early years, the city’s main business was exporting agricultural products grown in the rich farmlands of the state of Jalisco and the surrounding area. Today Puerto Vallarta has become one of Mexico’s biggest tourist destinations, a city that draws property shoppers, fun-seekers, and investors. Puerto Vallarta has a vibrant culture that will stimulate your senses. You can hear and smell the food sizzling from local food vendors…feel the smooth texture of the multicolored bead arrangements sold by the Huichol people from the western Sierra Madres…see the 11 majestic sculptures from all across the world poised on a mile-and-a-half stretch along the malecón. The bronzed sculptures, contrasting with the soft powder-blue of the ocean, are a must-see for art lovers. International Living Correspondent Don Murray reports that some single expats live here on a monthly budget of $1,000. This is understandable when you take into account that a small apartment will rent for between $380 and $500, and that’s with all utilities included. For a couple looking for something with more space, a five-bedroom, three-bathroom house with a small indoor pool will go for $965 a month. Finding where the locals eat is always a good choice for tasty, inexpensive food. Lunch at a taco stand or in a restaurant is $4 to $8, and you can get dinner and a drink for $15 to $18. If you prefer to eat at home, spend $20 at the local grocery store and you’ll have enough vegetables, pasta, fresh cheese, yogurt, papayas, and fresh oranges (to squeeze for your morning juice) to easily last you for a couple of days. Buses are frequent and cost 52 cents, while taxis average $3.75 around town. 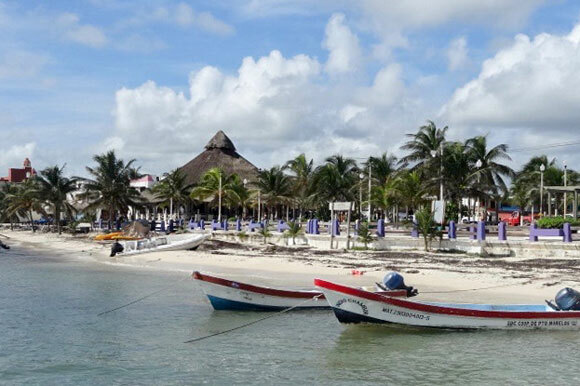 Just south of Cancún, on Mexico’s Riviera Maya, sits the small fishing village of Puerto Morelos. While still a working-class traditional Mexican town, Puerto Morelos has also drawn retirees in increasing numbers who come to live full-time or part-time as “snowbirds” escaping the cold North American winters. There are some resorts and hotels—but a fraction of what you have just up the road. The small town feel, warm weather, beautiful (and not overcrowded) beaches, peace and quiet, and a lively social scene centered on the plentiful good restaurants in town are hallmarks of the expat scene in Puerto Morelos. A charming, sunbaked town square is a focal point for local celebrations, with shops, restaurants, and cafés lining three sides. To the east is the small malecón, or boardwalk, with plenty of benches in the shade for enjoying views of ﬁshing boats anchored just offshore. Stroll down the jetty and you ﬁnd ﬁshermen hauling in the day’s catch. You can buy grouper, snapper, or whatever else was caught that day at the ﬁshing cooperative just across the street. International Living Riviera Maya Correspondent Don Murray says that cost of living in this small fishing village is low, with some single expats living off as little as $600 a month. This isn’t that surprising when you consider that a two-bedroom house with a small garden rents at under $300, monthly electricity bills rarely go over $25, and public transport around the town costs about 3 cents per trip. A similar sized house near the beach will be more expensive, with expats claiming to spend $570 a month for the luxury. To learn more about retiring in Mexico, click here. With a population of 330,000, English-speaking Belize offers plenty of empty, wide-open spaces. Located below Mexico’s Yucatan peninsula, this is picture-postcard Caribbean. It’s a country of Maya temples, seaside condos, jungle lodges, and colonial mansions. Belize offers economic stability, ease of living, and a cost of living that is good value when you compare it with that of other Caribbean retreats. According to International Living Belize Correspondent, Ann Kuffner, depending on which part of Belize you choose to live, a monthly budget for a couple can be anywhere between $1,200 to $3,000. Also, Belize’s retiree program offers attractive incentives to foreigners looking to live there. To top it all off, Belize is just plain beautiful. From its Caribbean shores to its jungle interior, this nation has great natural beauty—blue water and deserted beaches, and inland retreats where jaguars and scarlet macaws still live in their natural habitats. It’s a country where you can explore and develop, and there’s room to breathe, with a pervasive, heady sense that almost anything goes. Corozal is continuing to gain popularity among expats and native Belizeans. An active community of expats live full-time in the Corozal District, with the numbers swelling during the winter months. 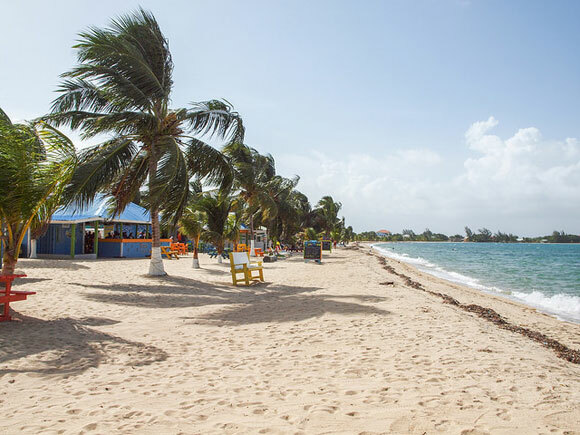 In fact, it may be the most popular destination in Belize for expats who plan to retire and live frugally on their retirement pensions or savings. Costs here are low and amenities are plentiful. The city and surrounding area have many visible links with the past. 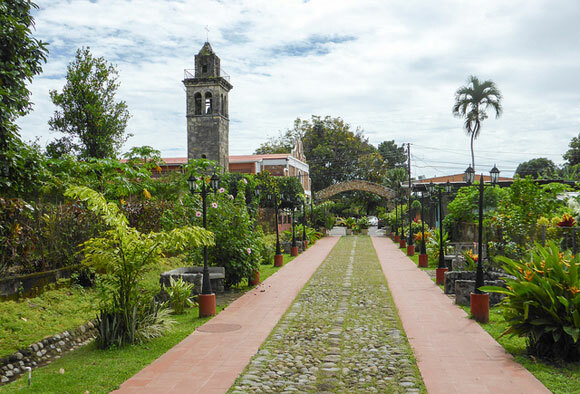 Corozal Town was built on the foundations of a Maya ceremonial center (now called Santa Rita), and many of the town’s old buildings are constructed of stones pillaged from the ruins of Santa Rita. Corozal also has a pretty main square and, thanks to its proximity to Mexico, feels a bit more Latin than some other parts of Belize. One big draw is the town’s location on the Bay of Chetumal, which locals usually refer to as Corozal Bay. Water in the bay tends to be a darker green than the turquoise of the Caribbean. There’s also a green parkland along the bay-front (malecón), with plenty of beautiful water views. Corozal offers a Belizean island lifestyle, full of beauty, charm and ambience, making it an exciting prospect for expats and visitors alike. Punta Gorda, in southern Belize’s Toledo District, is the end of the line. Known as “the forgotten district,” this region is blessed with Mother Nature’s finest gifts. From the rainforest, mountains, and jungles, to the productive offshore waters of the Sapodilla Cayes, you’ll find it all here. 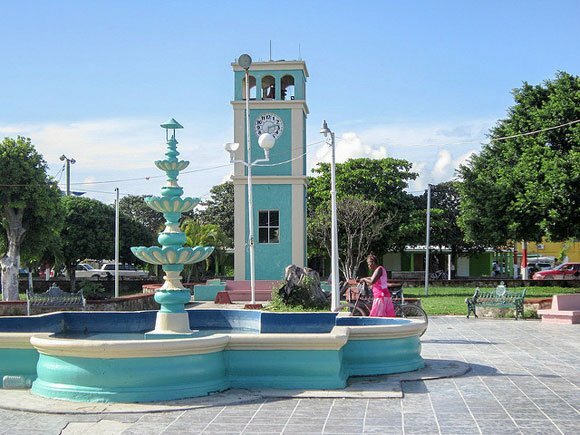 Because the town is on relatively high ground and has low-rise buildings, you get a greater sense of wide-open space in Punta Gorda than in many other Belizean towns. The paved streets are tidy, and when you drive into town on the beach road, you pass several attractive, two-story homes with front verandas that look out to sea. And the very green main square has a large blue clock tower at one end. It’s a perfect spot for intrepid eco-tourists or aspiring researchers. They can get off the beaten path for a physically challenging eco-adventure, or dive into outstanding natural beauty in the Caribbean. International Living Belize Correspondent Ann Kuffner says that “several expats report that they get along comfortably on $1,100 a month.” This isn’t surprising, as $3 will get you a large breakfast, lunch will be about $5, and dinner will only set you back $8 to $10. Usually, a two-bedroom, two-bathroom house with a yard, across from the bay, will go for $600 a month. Start to look a little further out of town and this price will drop. 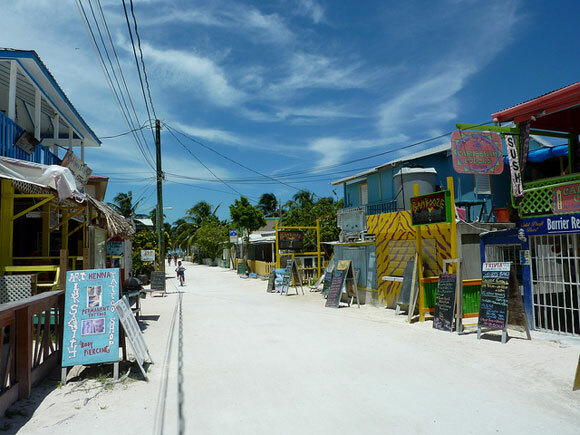 Caye Caulker, a five-mile long island off the coast of mainland Belize, is a charming Caribbean island where “go slow” is the motto. This island is known for its stunning seascapes, diverse water sports, eco-tours, and friendly community. The streets are still composed of packed sand, and you won’t need to dodge traffic here. You’ll see a few golf carts, but no cars or trucks. This charming island is graced with pastel-colored B&Bs, bars, and cafés. The lifestyle is laidback and low key. It’s a perfect spot for those who wish to live on the Caribbean Sea, surrounded by nature. Artists and writers, who seek creative inspiration, will find plenty here, given the spectacular natural environment. On top of everything else, Caye Caulker is best known for its quality snorkeling, fishing, and water sports. Thanks to the offshore barrier reef and the wealth of tropical fish, there’s always something to marvel at when exploring the underwater environment. While simply walking along the easterly beach path, lush with leafy sea grape, sea almond, and palm trees, you’ll be delighted by colorful kites billowing above the sea, tethered to avid kite surfers bouncing along the sea’s sparkling surface. This is beach living at its very best. To learn more about retiring in Belize, click here. Nicaragua is one of the most beautiful countries in the Americas. It boasts a dramatic Pacific coastline; long, gentle Caribbean beaches; and volcanoes and freshwater lakes that dot the hilly inland. Colonial cities like León offer visitors a taste of days gone by. Many of its cities are rapidly entering the First-World, with top-notch theaters and a range of international restaurants. According to International Living Nicaragua Correspondent Bonnie Hayman, “Many couples live comfortably on $1,200 a month. Spend $2,000 and you’re living in high style. A single person can live very well on much less.” Add to that the very reasonable real estate value here and you could have your perfect retirement or second home destination. But the real attraction of this land stems from the magnetism of the Nicaraguan people. Look into the eyes of almost any Nicaraguan and you’ll see perseverance, solidarity, ingenuity, and, above all, a friend. The willingness to assist their fellow man in need is unwavering, creating an underlying sense of community across all aspects of Nicaraguan life. Whether you want to live somewhere quiet, near the coast where you can sit back and listen to the waves gently lapping the sea shore, or you’d prefer the hustle and bustle of a colonial city with everything you could possibly need (at half the price of the U.S.) …then you should definitely take a closer look at Nicaragua. Matagalpa is a vibrant city set on the side of a lush mountain. With a population of just over 150,000, it’s large enough to have modern supermarkets, medical services, banks, museums, cultural events, and shows. The town offers many restaurants with different types of cuisine. And since it’s in the middle of coffee country, you can enjoy a fine cup at many of the coffee shops which dot the city. The lure of spring-like weather all year round attract expats who don’t like the heat of the inland cities and beach coasts. 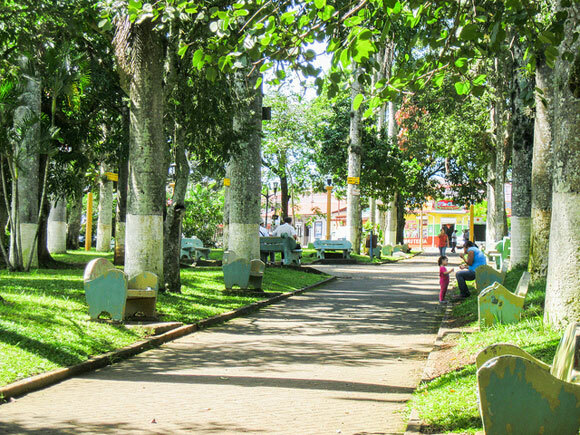 Matagalpa has another great advantage: The thick forests surrounding the city provide a nature lover’s paradise. Rivers, lakes, waterfalls, coffee plantations, flora, fauna, and several eco-hotels, where you can unwind inside jaw-dropping natural beauty, come as added attractions if you live in Matagalpa. 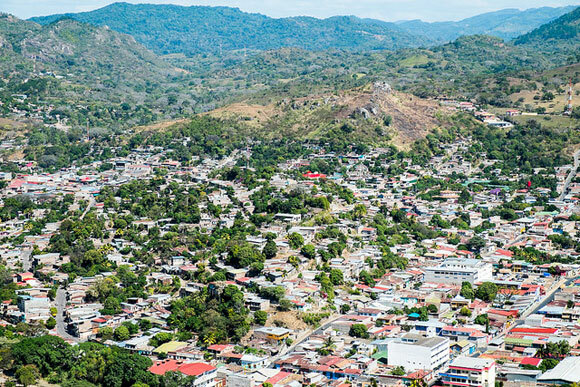 “Matagalpa—like the rest of Nicaragua—is a highly affordable haven for expats,” says International Living Nicaragua Correspondent Bonnie Hayman. “A couple can easily live here on $1,200 a month; single people for less.” A major factor in this low cost of living is rent prices. It’s possible to rent a three-bedroom, two-bathroom home here, with a patio out front and a garden out back, and only pay $200 a month. Many expats also report that they budget about $400 a month for food, which includes buying from the local market and eating out, and about $75 a month for utilities. With over 400,000 inhabitants, León is the second largest city in Nicaragua, filled with historic homes, many churches and universities, and all the amenities of a modern city. It has long been the intellectual center of Nicaragua, with no fewer than five universities. 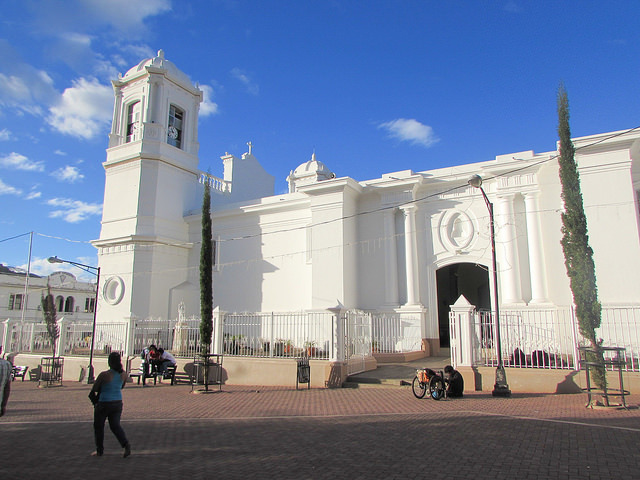 León has more colonial churches and cathedrals per capita than any other place in Nicaragua. It was also home to several of Nicaragua’s famous poets, including Ruben Dario, Alfonso Cortes, and Salomon de la Selva. León is home to some of the best food in Nicaragua. Being a university town, it offers plenty of pizza places, as well as a diverse selection of restaurants, including Indian, Spanish, Japanese, Italian, Chinese, and, of course, Nicaraguan fare. The night life is vibrant, too. For medical care, León has the largest hospital in northern Nicaragua and one of the top medical schools in the country. A doctor’s visit costs $11 to $18, and you’ll find English-speaking doctors. If you need a beach fix, a quick getaway is just around the corner. Popular golden-sand beaches Poneloya and Las Peñitas are just 30 minutes’ drive from Leon. These vibrant beach communities offer a variety of fun water activities and great-value eateries, where $13 will get you a delicious coconut lobster dinner. If you like a funky, colorful beach town with a lot of character, gorgeous beaches, and unbelievable sunsets, San Juan del Sur may be the place for you. 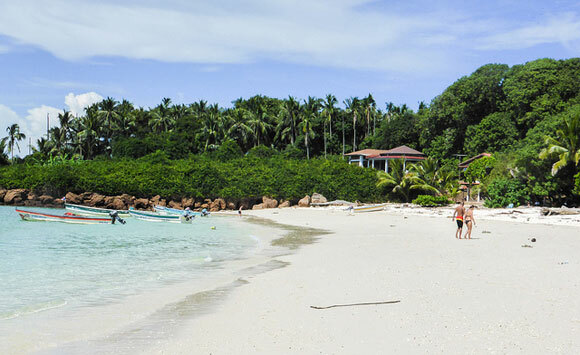 Set on a horseshoe bay, the thatched-roof restaurants, lack of high-rise hotels, dollar beers, and live music to suit any taste will remind you of those simple, fun beach days of your youth. With the city center only three-square blocks, you’ll know everyone and everyone will know you. International Living Nicaragua Correspondent Bonnie Hayman, who lives in San Juan del Sur, says that a basic monthly cost-of-living budget for a couple living there will come to $1,025, while a couple could live well on as little as $1,500. For $400 a month you can find a one-bedroom, furnished apartment close to the beach. 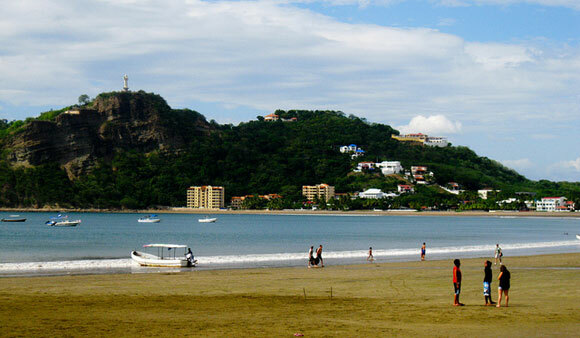 Your lifestyle can be anything you want in San Juan del Sur. If you like the idea of retiring in a hammock with a cold beer in hand, looking at the ocean from your deck, there’s no better place than this beach town. To learn more about retiring in Nicaragua, click here. Costa Rica’s fame as a top retiree destination is richly deserved. You’ll find the tropics along the Pacific and Caribbean Coasts, while most of the Central Valley is cool and breezy. If you find it difficult to choose which climate you prefer, you will be glad to know that the mild temperatures of the Central Valley are just two hours by car from the tropical beaches of the Pacific Coast. In Costa Rica, the good life is called “pura vida.” For those who retire in Costa Rica, pura vida is a daily fact of life in this beautiful, exotic, and surprisingly affordable country. Here are three towns worth exploring in Costa Rica. A farming town on the western side of Costa Rica’s Central Valley, Atenas has a lot going for it. It has an ideal climate: never too hot, never too cold. The pace of life is slow. It’s rural and quiet, with homes set in the forest or among pasture and farmland—coffee is one of the major crops here. There is also a sizable expat community, with frequent get-togethers, card games, community volunteer work, and other activities. Several restaurants in the town center are expat gathering spots. The annual chili cook-off is a major event each year. This is small-town life at its best, with welcoming neighbors who embrace newcomers, friendly shopkeepers, and a pleasant, bustling town center with a park and simple restaurants offering filling and delicious meals starting at $5 a plate. To top it all off, you’re perfectly situated only 45 minutes from the nearest Pacific coast beach. Going the other way, you’re just 45 minutes from San José, the capital and the site of the best medical care in the country, the main international airport, and the best shopping in Costa Rica. Costa Rica’s Caribbean coast is the least developed region of the country. And for those who live there, in a small village on the beach like Cahuita, that’s how they like it. Picture a two-lane paved coastal highway with gravel roads snaking off into the jungle on either side. The beaches are natural, unspoiled. No condo buildings or hotel towers to ruin the view. Just palm trees, rainforest, and golden-sand beaches. In fact, just south of town, extending for several miles, is a large national park protecting a large swath of land, so there’s no construction there on that stretch of coastline. This region is unique in Costa Rica as many of the locals are descendants of Jamaicans who immigrated to the area around 100 years ago. Their culture and cuisine lives on in reggae and calypso music, spicy Caribbean dishes like rondon (a savory seafood soup), and other traditions. And many locals also speak English, as well as unique English creole. In town, you have several small open-air restaurants (seafood is a favorite, with whole red snapper with side salad and rice and beans going for $9 a plate) …a few stores to get the essentials…and hostels and hotels catering to the few travelers who make it here. It’s a simple life by the seaside…and affordable. Costa Rica’s Lake Arenal region is said to have one of the world’s best climates. And with spring-like temperatures year-round—T-shirt weather all the time—you’d not be far off. And it’s the perfect spot to enjoy the great weather. The natural beauty is awe-inspiring. The lake is 33-square-miles…and rarely will you see any boat traffic. Nor are there any large marinas or buildings on the shore. In fact, no development is allowed within 165 feet off the shore by law. Instead you have green hills rising from the water, covered by forest teeming with birds, farmland, and pasture. It’s a rural area with a long agricultural heritage thanks to the rich volcanic soil provided by the Arenal volcano on the far east end of the lake. It’s peaceful. 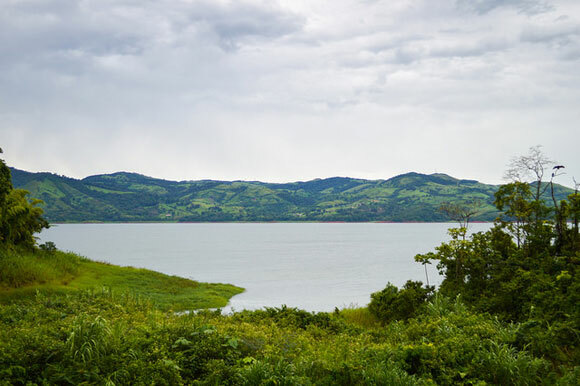 And locals and expats alike take advantage of the scenery and the weather, with homes with large outdoor spaces that offer views of the surrounding countryside, including the lake. Lake-view homes can be bought at prices starting under $150,000. Go without a lake view and you could pay less than half that for a comfortable home. To learn more about retiring in Costa Rica, click here. 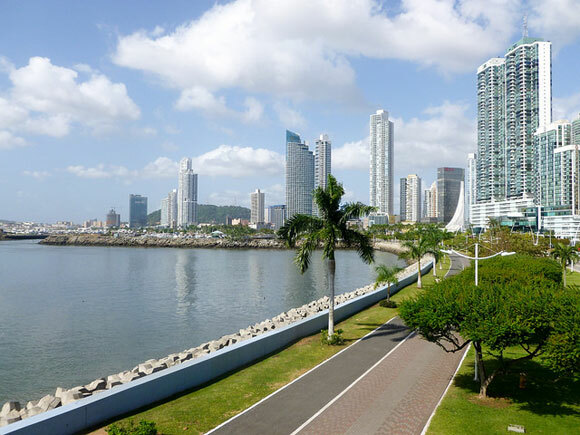 Panama has been one of our favorite locations for overseas investment and retirement for many years. In fact, in International Living’s Annual Global Retirement Index 2016 the country topped the index as the best retirement haven in the world…and with good reason. Here you can find the luxuries and amenities that you would hope for anywhere else, and can even afford more of them due to Panama’s low cost of living. David, the capital of Chiriquí Province in western Panama, is becoming more and more popular as expats discover its convenience and affordability. David is Panama’s third-largest city, with a developed infrastructure but a much lower cost of living than the bustling capital, Panama City. In David you can visit the old town with its stone cathedral, and stroll to the central park with its volcano-shaped fountain in the middle of the downtown business district. You’ll find spacious shopping centers, college campuses, and middle-class neighborhoods. Relax at a sidewalk café where you can sip on a cold beer or a cup of highland grown coffee for about a buck. According to International Living Chiriquí Correspondent Linda Card, a couple can live comfortably here for around $1,500 a month. Rent is cheap, with a furnished two-bedroom home setting you back $500 to $700 a month, while monthly food costs should add up to about $500. And utilities will cost no more than $150 a month. But costs are just a small part of what draws retirees to David. The lifestyle is what really makes it a place worth putting on your list of possible new homes. It’s not a rushed city. Parque Cervantes, a lovely spot with huge shade trees, lots of benches, and a volcano-inspired water fountain in the center, marks the downtown center of David. Perfect for relaxing on a hot day. If you love to be surrounded by nature, then David is the place for you. 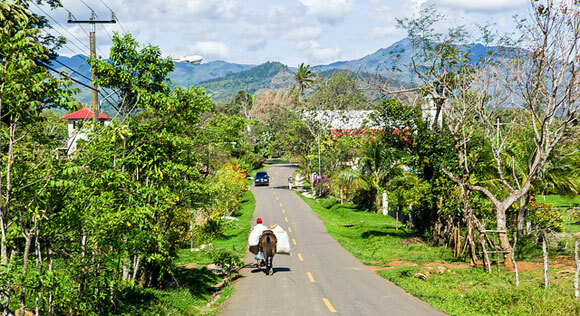 Chiriqui Province is rural, with acres of crops, cattle ranches, dairy farms, plant nurseries, chicken farms, coffee plantations, citrus orchards, and horse stables. It’s also the site of Baru Volcano, Panama’s highest peak, with spectacular highland views and unspoiled rainforest. 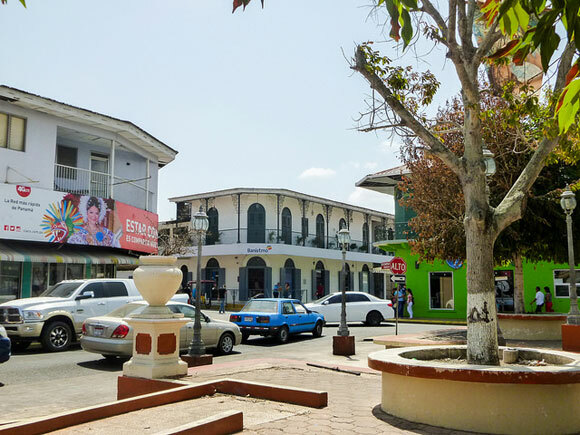 Santa Fe is an authentically Panamanian town. Located in the highlands in the province of Veraguas, you’ll find lush-green hills staggered across the horizon while rainbows streak the powder-blue skies. People are friendly—they will greet you nonchalantly as you pass by—and the houses are traditional style—angled wooden roofs, pastel-colored walls, and small rooms. Coffee plantations and orange groves line the slopes outside of town. Sparkling rivers, like the Santa Maria and Mulaba, rush around huge boulders to flow gently between the trees, while giant peaks tower above. With an elevation around 1,500 feet, Santa Fe is blessed with year-round cool temperatures, averaging in the 80s F during the daytime and 60s F at night. Clear blue skies yield to misty clouds among the mountain tops and in the low valleys. For those who love the outdoors, it doesn’t get any better. Pedasí is a sleepy kind of town. It consists of a main road, a central park, and several blocks of residences and businesses. It’s primarily a fishing village but has seen an upsurge in outside interest in recent years, resulting in a small but growing expat community. 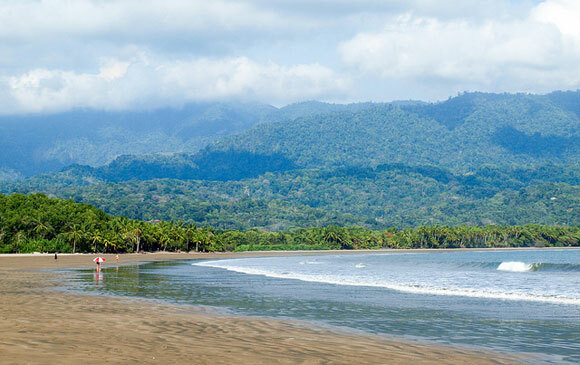 Located on the Azuero peninsula on Panama’s Pacific coast, Pedasí is a place for ocean lovers. Most days, there are few if any people on the sands, so you have great stretches to yourself. It feels private and exclusive…and yet costs here are low compared to similar destinations in the U.S. Rentals here start at about $500 a month. According to International Living Panama Editor Jessica Ramesch, a couple could live here on $1,200 a month, including rent. If you own your own home, your monthly budget could drop down to as low as $1,000. Expats also report that their utilities are incredibly cheap, averaging at about $100 a month. And it’s not just the low costs and great beaches that are attracting expats to this often over-looked part of Panama. The weather is also a big draw. Most days of the year are sunny. Average daytime temperatures are around 88 F, but evenings and mornings can be 10 to 15 degrees cooler, thanks to the ocean breezes. 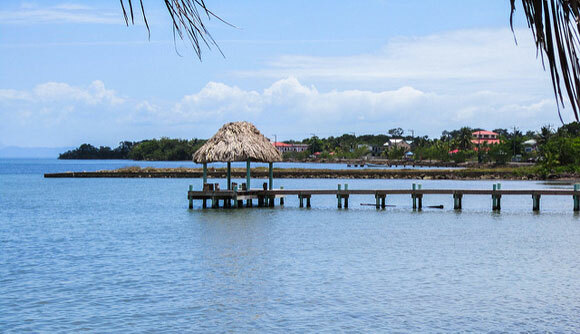 Located on Panama’s Pacific Coast, little Las Tablas is Panama at its best. 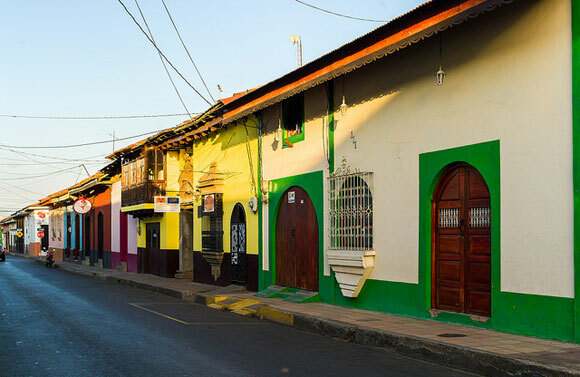 This town of under 30,000 people lies on the Azuero Peninsula, a region renowned for everything from colorful Carnival celebrations to artisanal textiles, pottery, and leatherwork. Life in this region of Panama is good. “Las Tablas is graced with more sunny days and less humidity than any other part of the country,” says International Living Panama Editor Jessica Ramesch. “And the cost of living is the lowest in Panama. Here, a couple can easily live on $1,000 a month, including rent.” Small homes in the center of town can cost as little as $200 a month, while at $600, a more upscale apartment still won’t break the bank. Savings can be seen elsewhere too. Many expats pay less than $100 on their monthly utilities, and shopping for groceries in their local stores will only set them back around $65 a month. Even eating out is cheap. Restaurant lunches cost $3 to $6, while dinners will come in at around $20, including beverages. If you are interested in diving head-first into Panamanian culture, then Las Tablas is the perfect place for you. It hosts hundreds of regional events showcasing the national dress (known as the pollera), the little guitar or mejorana, and much more…flowers, oxcarts, yodeling, you name it. 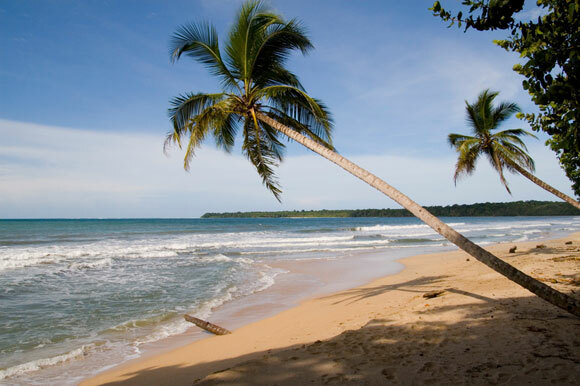 To learn more about retiring in Panama, click here.